Enable ad hoc network on Windows 8 PC and convert PC into WiFi router. 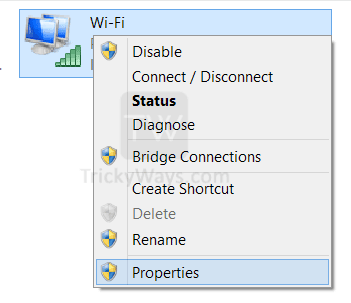 If you want to Share Internet Connection Windows 8 PC with other wireless devices then follow this guide to enable ad-hoc network on Windows 8. 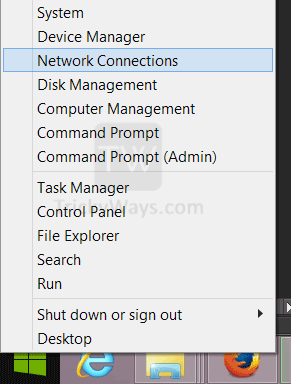 In Windows 7 you can create ad hoc connection easily but in Windows 8 this option hidden and you need to run few command to share internet. Is Your PC Capable to Share Internet? First, you need to check is your Wireless Network card support hosted network or not? You can share internet connection only if your network card have “Hosted network supported” option YES. To check either your card does have this option or not. 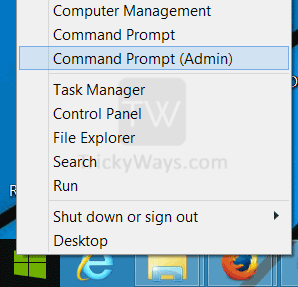 Open command prompt with administrator privilege, Right-click on Start button or the left-bottom corner of the screen and “select Command Prompt (Admin)” option from menu. If you didn’t find this option here then Click on left-bottom corner of the screen to open Start screen and then click on downward-Arrow at the bottom to see all programs, Scroll and find Command Prompt, right-click on it and then click on Run as administrator option. Type the following command and hit enter. Now find the “Hosted network supported” entry in the command results, If this settings in YES then you are good to go otherwise try to update you network card driver or upgrade you hardware. Now set up the ad hoc wireless network or simply means convert PC into a Wireless router, We will see two methods to do that. One is through command prompt and the second easy method by using a software. Where: TrickyWays.com is the network SSID and 12345678 is network password key (this key value should be 8 chars minimum). You can replace these two strings and write your own. You will see the following output of the command if executed successful. Till now we have created ad-hoc network on Windows 8, its time to start it. Type the following command in the command prompt window. and you will see and message the Hosted Network Started. Now make sure internet connection share option is enabled in your network connection properties. Right-click on the left-bottom corner of the screen and select Network Connection option. Right-click on the connection icon and select Properties from menu, this will connection properties window. Click on Sharing tab and then select the option “Allow other network users to connect through this computer’s internet connection”, also select ad-hoc connection from “Home networking connection” drop-down. If you don’t want to allow the connected users to control your shared internet then un-check the last option. Click OK button to save settings. If you successfully share internet connection from PC or having any problem share with us below in comments. 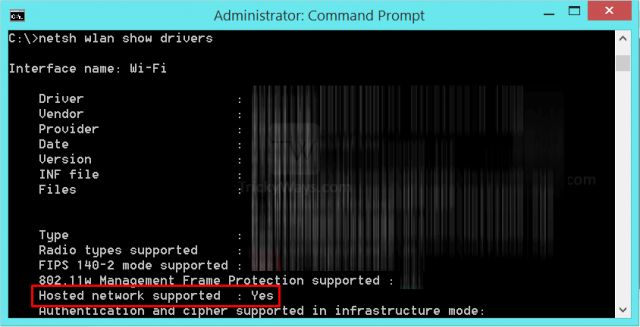 how to set authentication (WEP, WPA, Open-none) on windows 8?